This section will provide you with general information about our activities, professional registrations and compliance. Furthermore you will find information on data protection, the Property Ombudsman, Client Money Protection and Anti-Money Laundering. KLEIN is a member of Client Money Protect. KLEIN has a comprehensive client money handling policy in place providing security and clarity for our clients. Please do not hesitate to contact us regarding our procedures and safeguards regarding client money handling. KLEIN holds a professional liability insurance through HISCOX. Up-to-date information can be obtained by contacting KLEIN. KLEIN is a registered member of The Property Ombudsman. The Property Ombudsman is an independent body offering free, impartial and independent service for the resolution of unresolved disputes between consumers and property agents. The Ombudsman’s resolutions are designed to achieve a full and final settlement of the dispute and all claims made by either party. The Ombudsman can, where appropriate, make compensatory awards in individual cases up to a maximum of £25,000 for actual and quantifiable loss and/or for aggravation, distress and/or inconvenience caused by the actions of an agent. 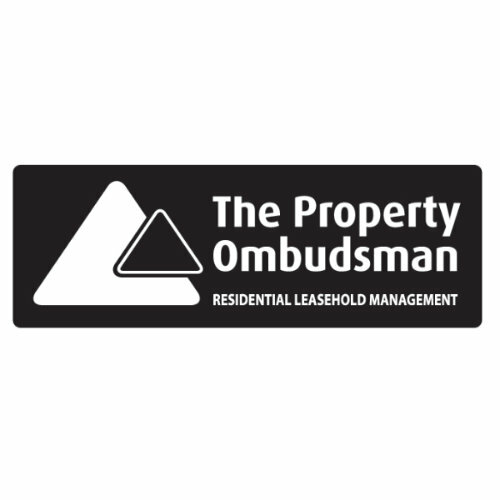 Please visit the website of The Property Ombudsman to read more about their service. KLEIN is registered for VAT. All our fees are quoted inclusive of VAT in accordance with the guidelines and recommendation by the Advertising Standards Authority; KLEIN will charge VAT on all fees due. KLEIN is aware that the property industry is targeted by organised crime seeking to launder the proceeds of criminal activity. For this reason KLEIN is registered and supervised by HM Revenue & Customs in compliance with the Money Laundering Regulations 2017 and attempts to fully cooperate with the authorities and report suspicious activity to the National Crime Agency. As part of this KLEIN is complying with the Anti Money Laundering rules specified in the Money Laundering, Terrorist Financing and Transfer of Funds Regulations 2017. As a result KLEIN is committed to obtain and hold for a period of at least five years evidence pertaining to its customers’ identity, proof of address and, where appropriate, proof of ownership of property and source of funds. Since we are required to establish whether there are any beneficial owners on whose behalf the transaction or activity is taking place, we need to identify any beneficial owner. KLEIN is unable to proceed with any customer business if it cannot obtain this information. Has to include account number and show recent activity (within last 3 months). Gas, electricity, water bills from last 3 months showing name and address. Has to show name and address. Has to show national insurance number, from last 6 months. The Data Protection Act 1998 governs the processing of information relating to individuals, including obtaining, holding, use or disclosure of information. Personal data obtained by a business under the Regulations may only be processed for the prevention of money laundering and terrorist financing. We must inform our customers of this and the information specified in paragraph 2(3) of schedule 1 to the Data Protection Act. This use is necessary in order to exercise a public function that is in the public interest and to carry out a function permitted by legislation. No other use may be made of the information unless we have consent of the customer or it is allowed by other legislation. KLEIN does not pass on any personal information to third parties for marketing or analytic purposes. KLEIN will only pass on personal information if required to do so by law. For example information may be passed to HMRC, the Home Office or the Police Force if it has been legally requested. Detailed and up-to-date information on the use and processing of personal data can be found on the website of the Information Commissioner’s Office. KLEIN will keep your personal data securely stored during the time of any business activity between our clients and us. Once this relationship ends we are oblidged to keep the information for a minimum of 1 year. After that we will review, if it is necessary to retain the information for longer. If there is no reason to retain the information we will permanentely delite and destroy all relevant electronic files and hard copies.